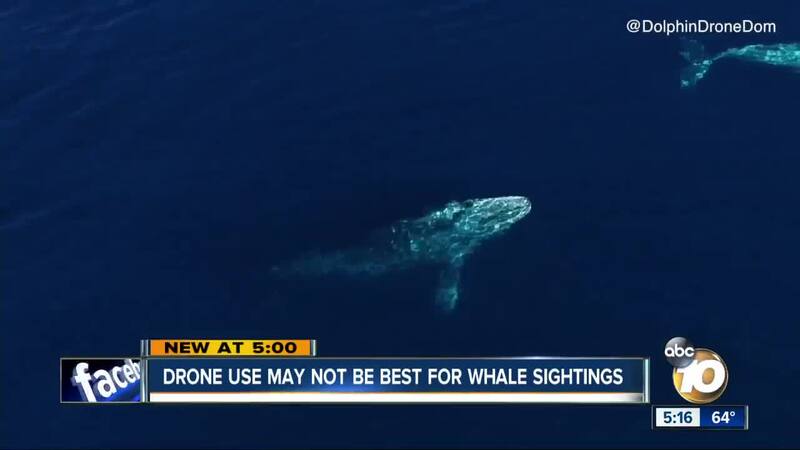 Drone use may not be best for whale sightings. SAN DIEGO (KGTV)- Giant whales can be seen off the coast of San Diego. While many drone users are hoping to get an up-close look, one expert says those eyes in the sky could harm the animals. She agrees it can be a once in a lifetime experience to capture the whales in their natural habitat but suggests it would be best to leave the drones to the professionals. Amerson asks if you do capture video of the animals to share it with local scientists or researchers, so they can limit their drone use of getting the same interactions.